They came up with two donut variants for the cookie butter line, the white chocolate vanilla cookie butter and dark chocolate vanilla cookie butter. The cookie butter spread is incorporated into their vanilla filling. It is an innovative idea to do so. 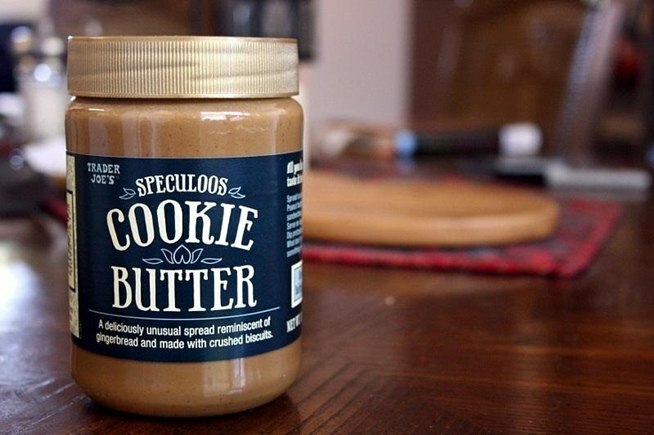 I was expecting the cookie butter to just be used creatively as a topping from their usual glazed donut (just like what Go Nuts Donuts did). 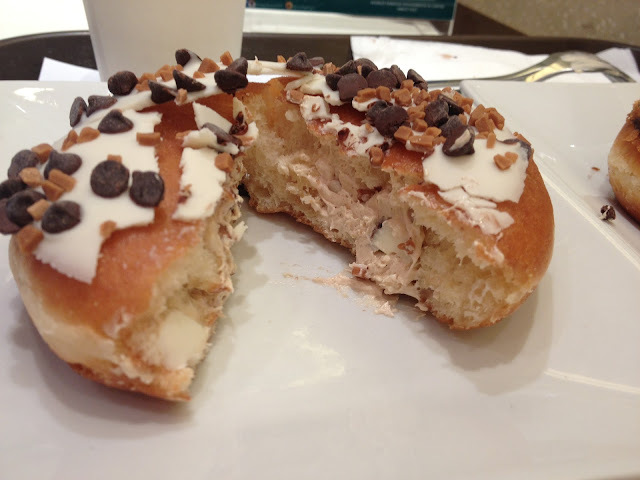 I got my hands on both donuts one afternoon when I passed by the Krispy Kreme Glorietta branch. I find the white chocolate variant too sweet to my liking. The white chocolate topped with chocolate chips did not compliment the cookie butter filling, which resulted to an overload of sweetness. 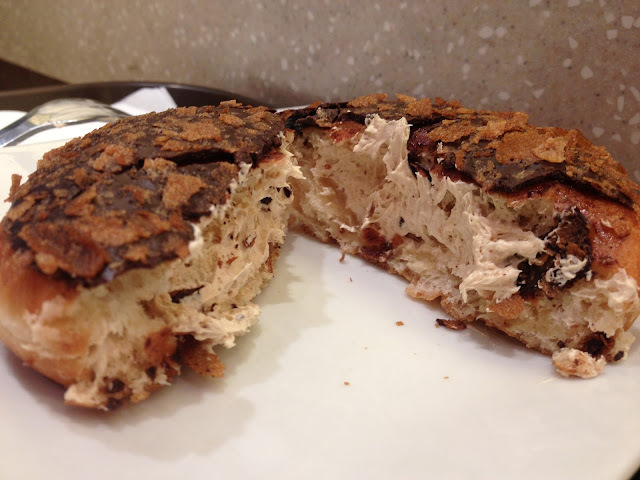 I prefer the taste of the dark chocolate vanilla cookie butter donut. I think what makes the dark chocolate a hit for me is because the dark chocolate did not empower the taste of the cookie butter filling, and the french biscuit topping complemented the filling. Like their Facebook page or go to their website for updates and promotional stuff. 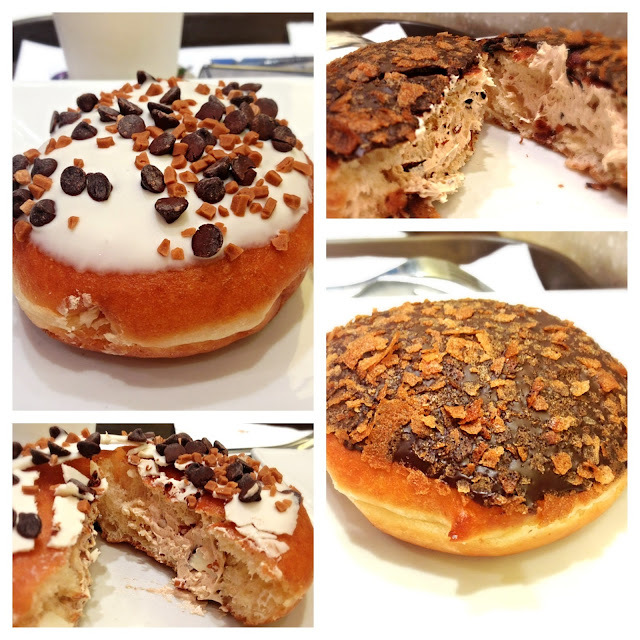 Which Cookie Butter Donut variant do you like?